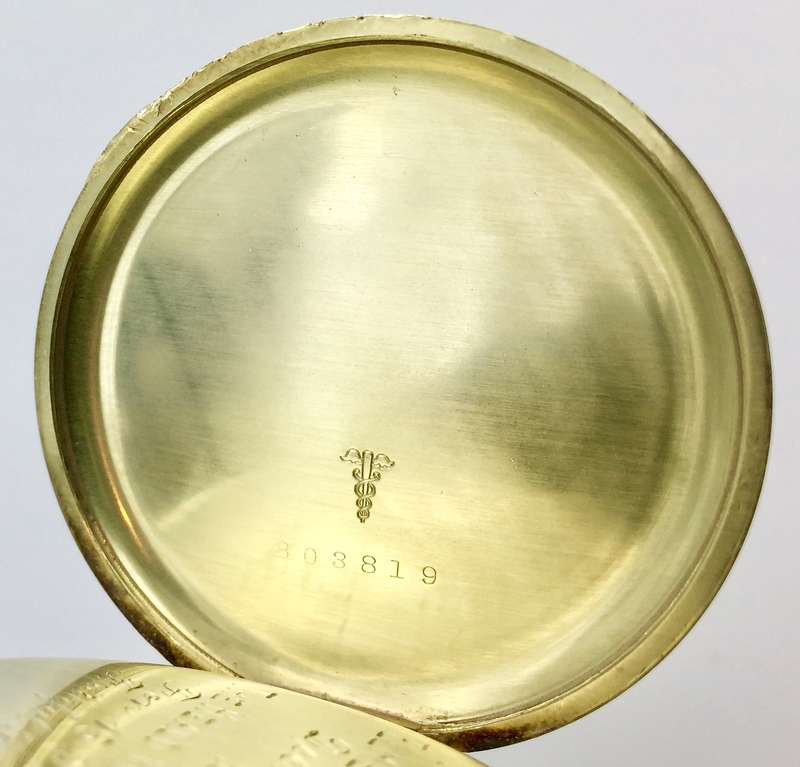 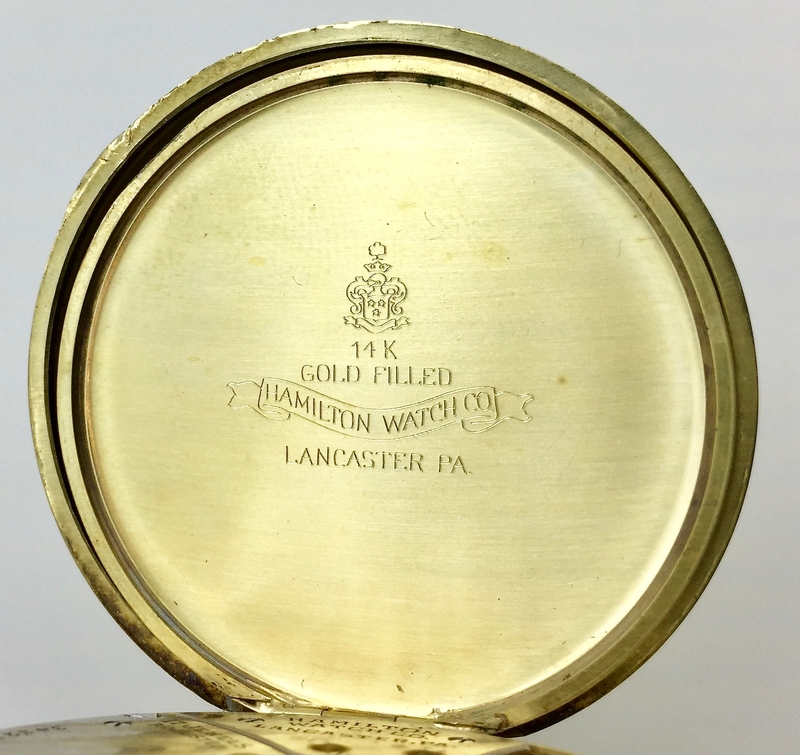 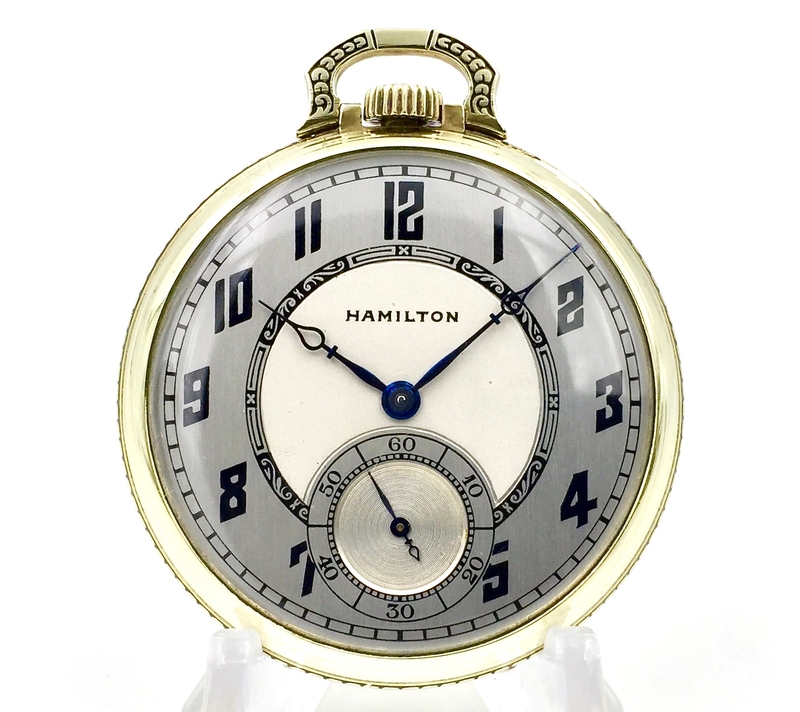 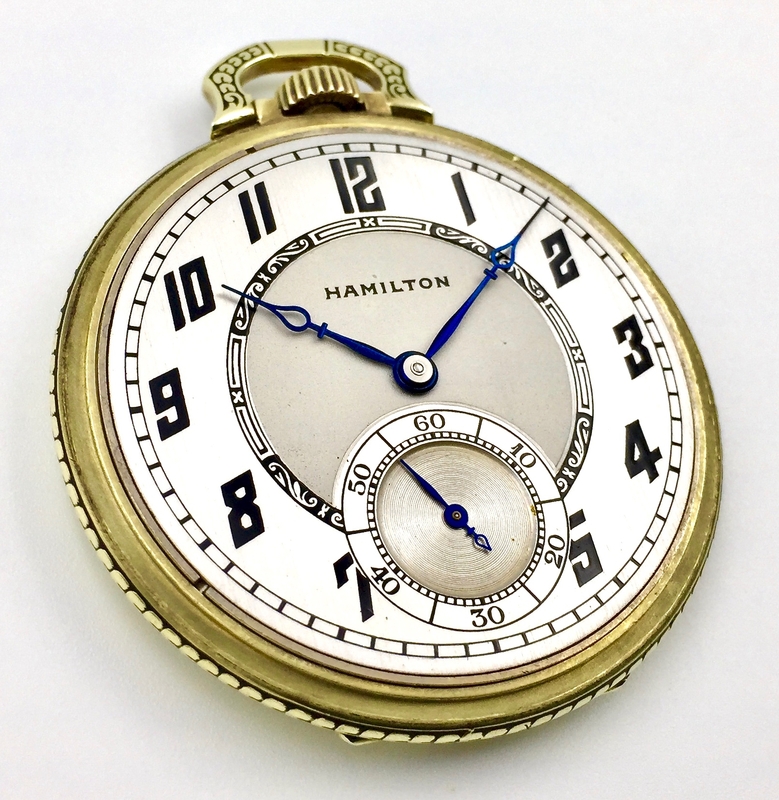 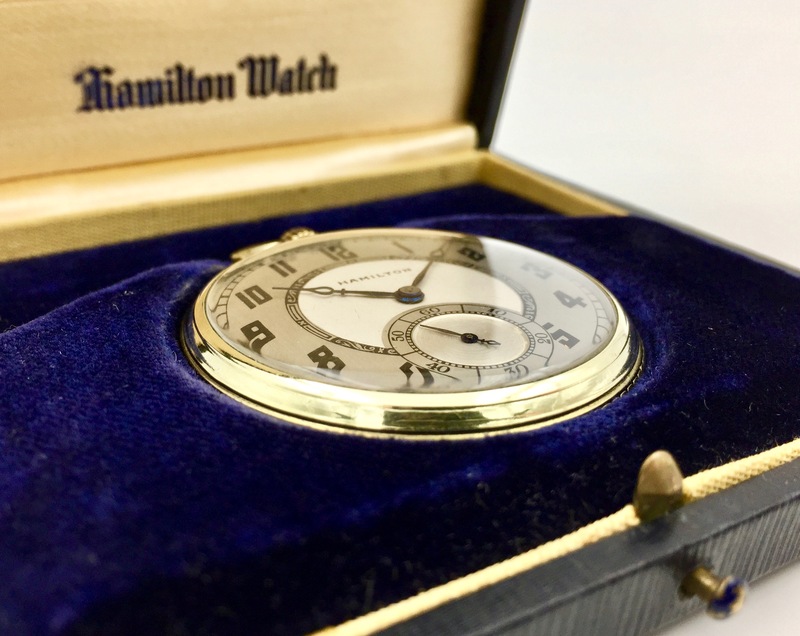 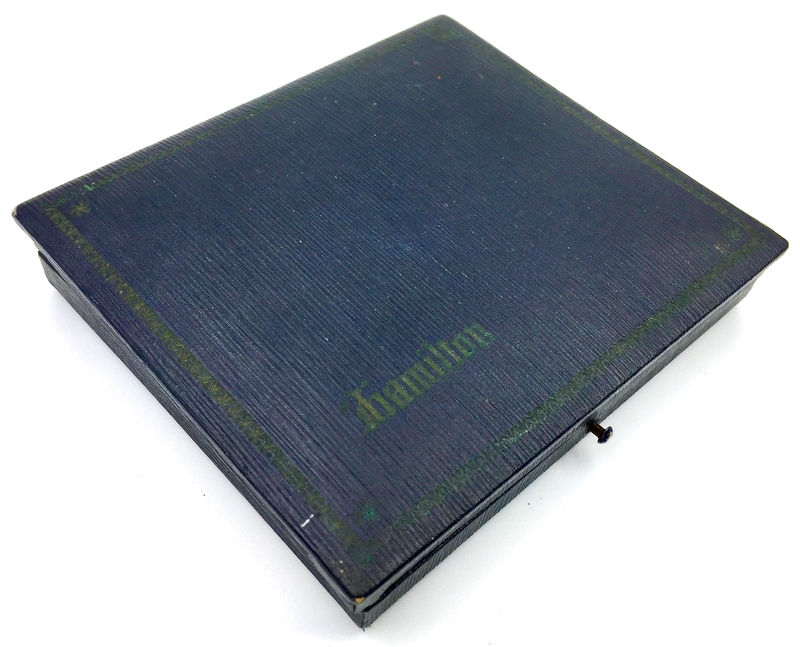 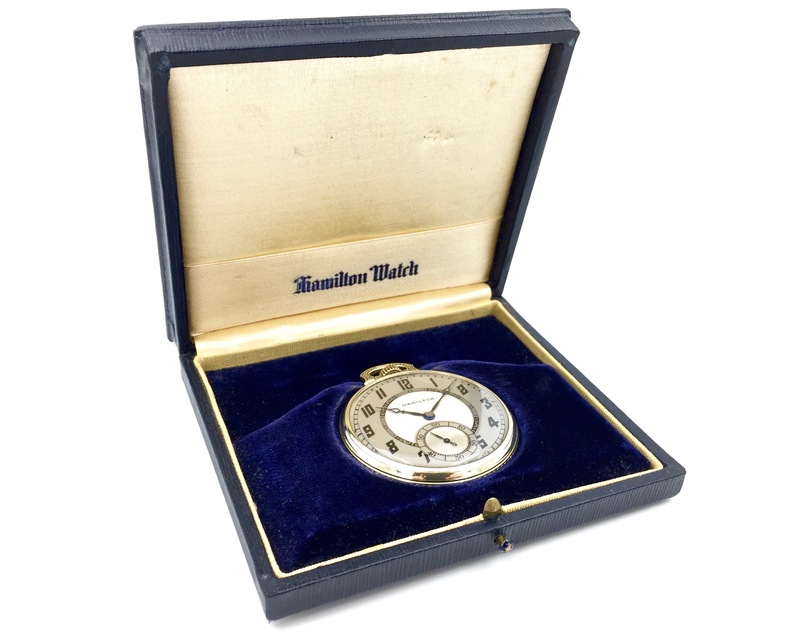 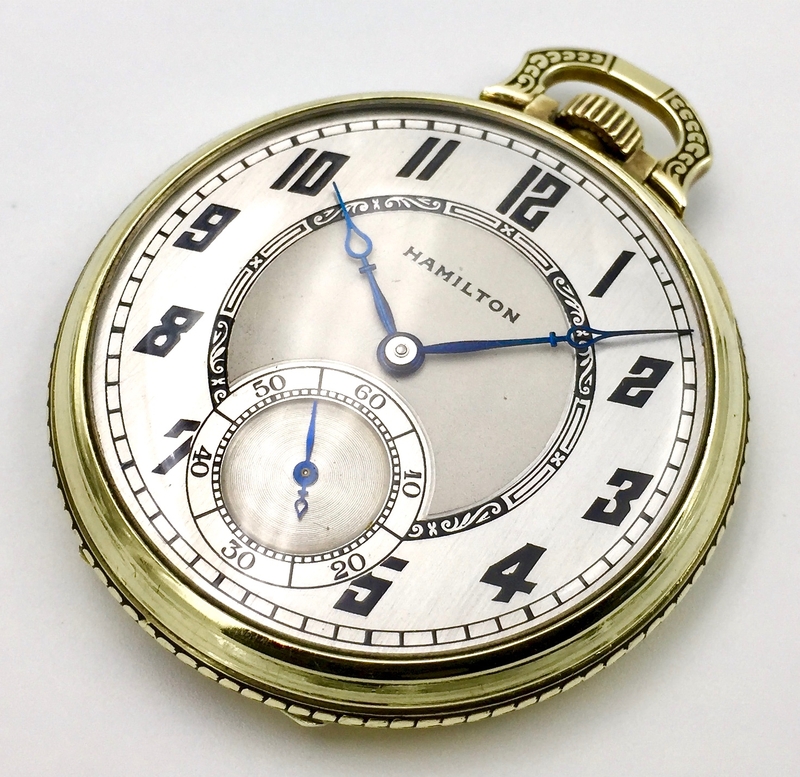 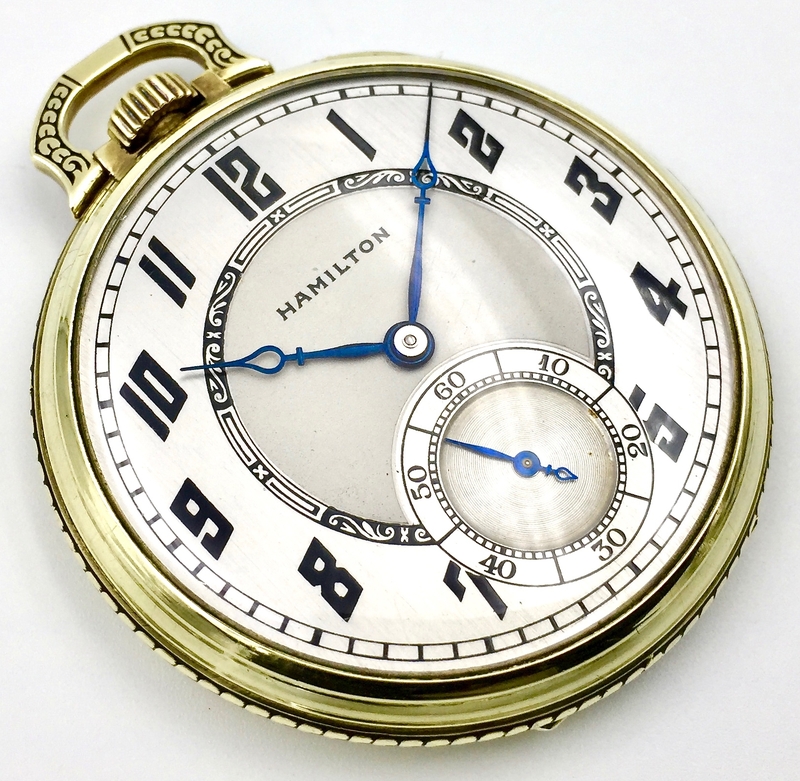 This exquisite watch includes the original “Hamilton” branded box. 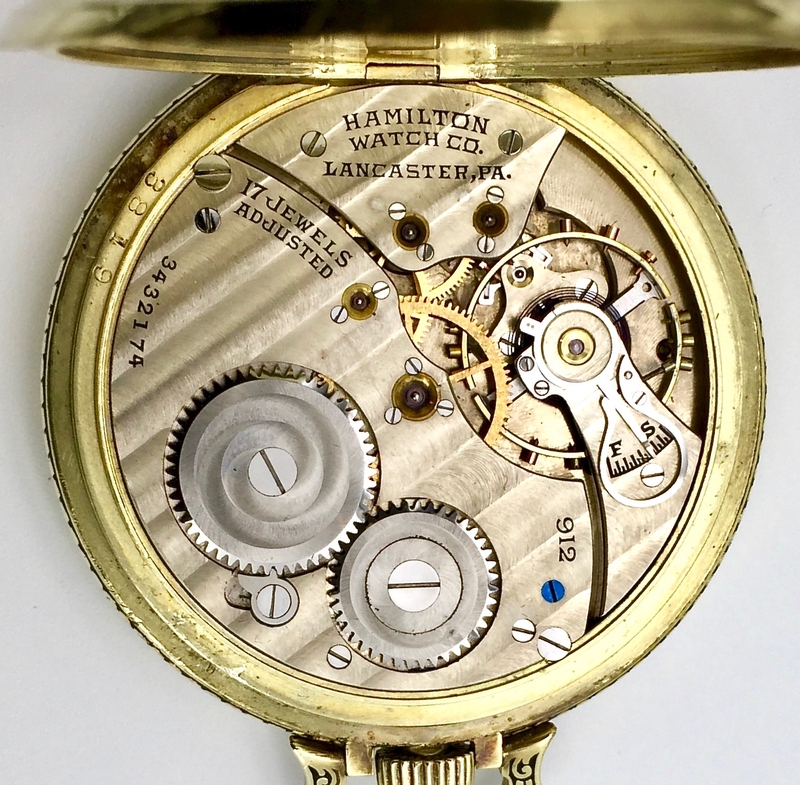 Condition Notes: Dial is nearly flawless. 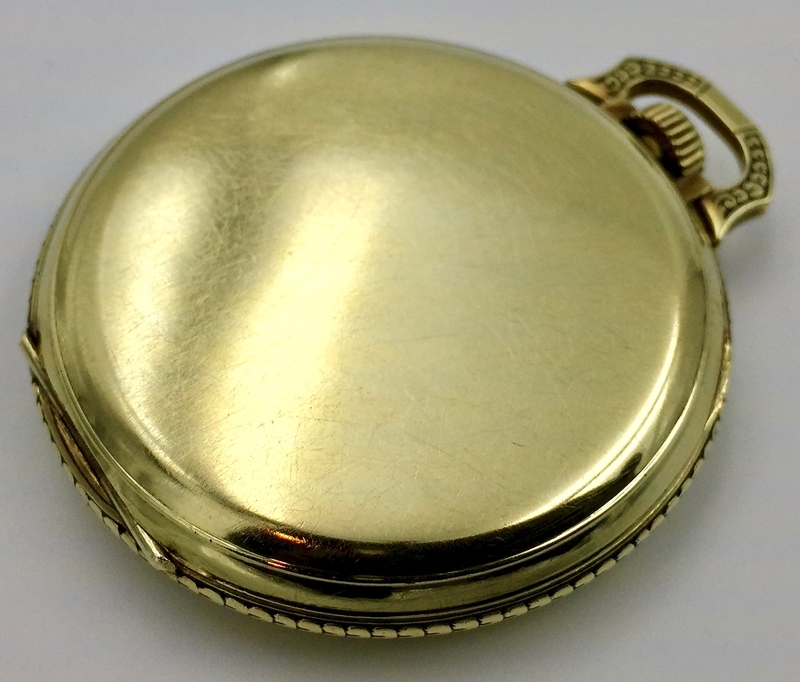 Case has scratches and small dings, as expected with light use. 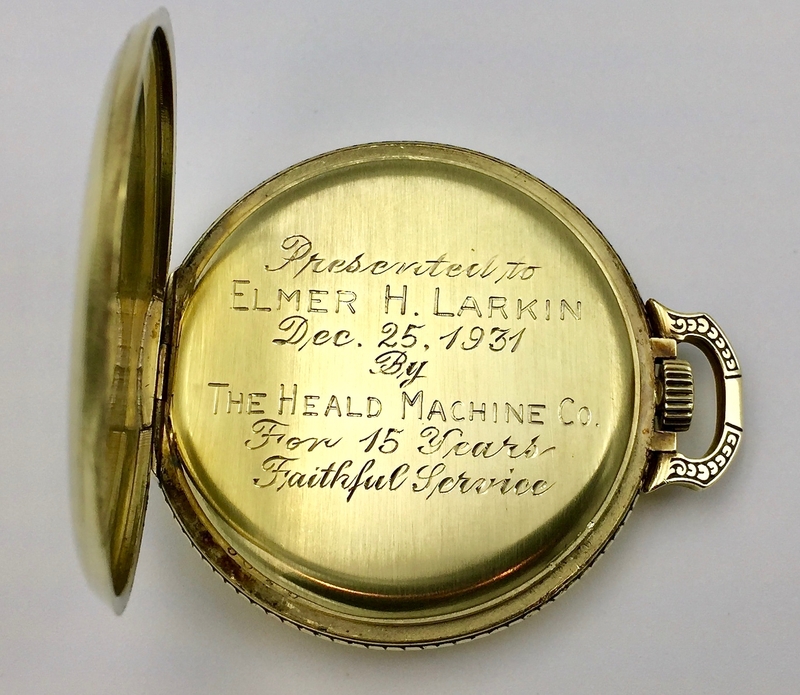 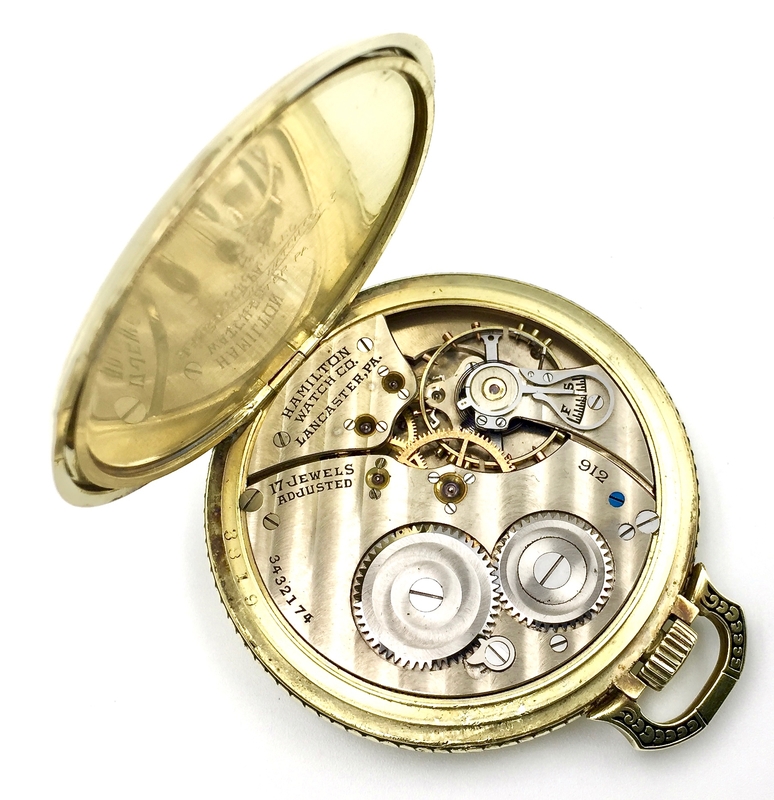 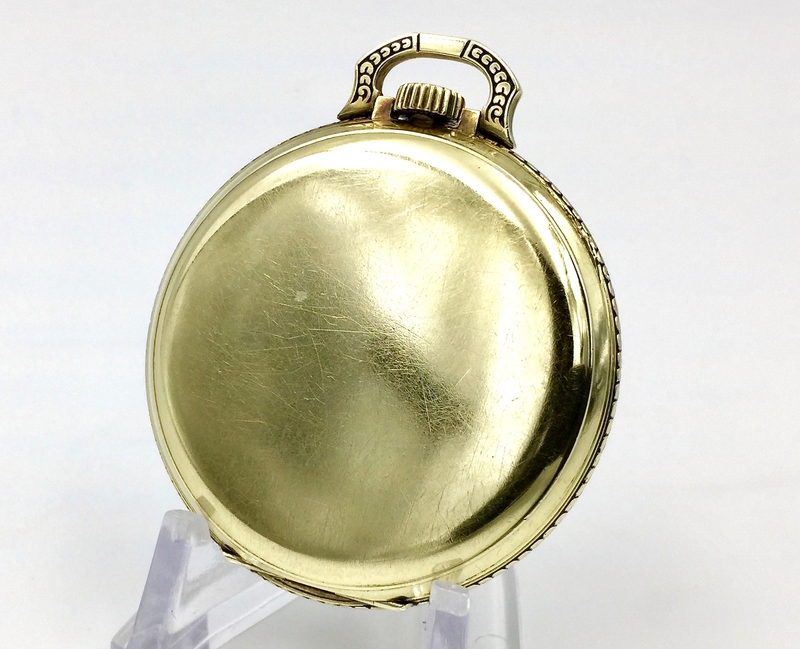 What to Love About This Watch: This Gatsby-era dress watch was presented to Elmer H. Larkin in 1931 by The Heald Machine Company, as inscribed inside the watch. 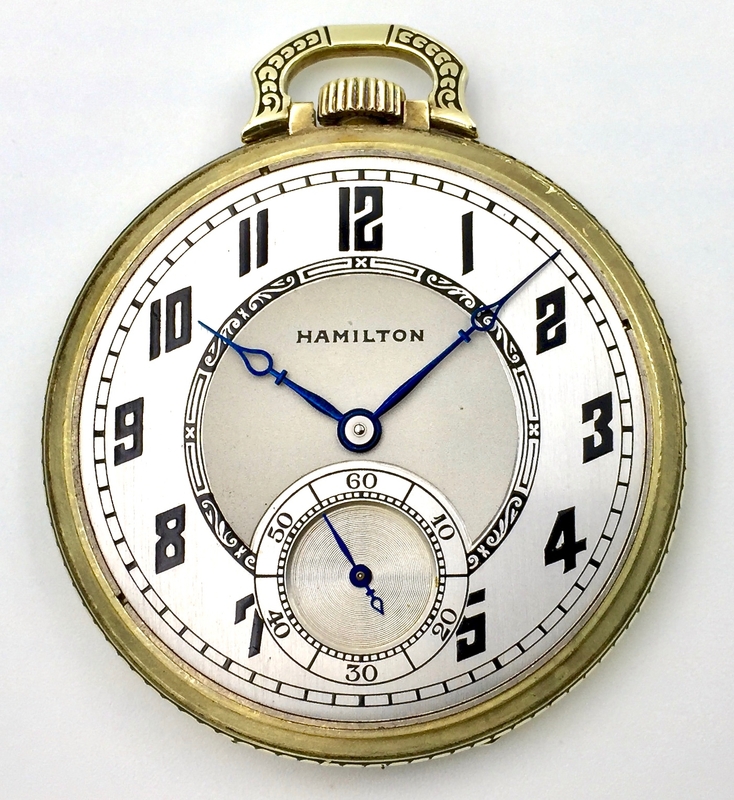 With little indication of use, this watch was likely cherished by Mr. Larkin and only carried on special occasions. 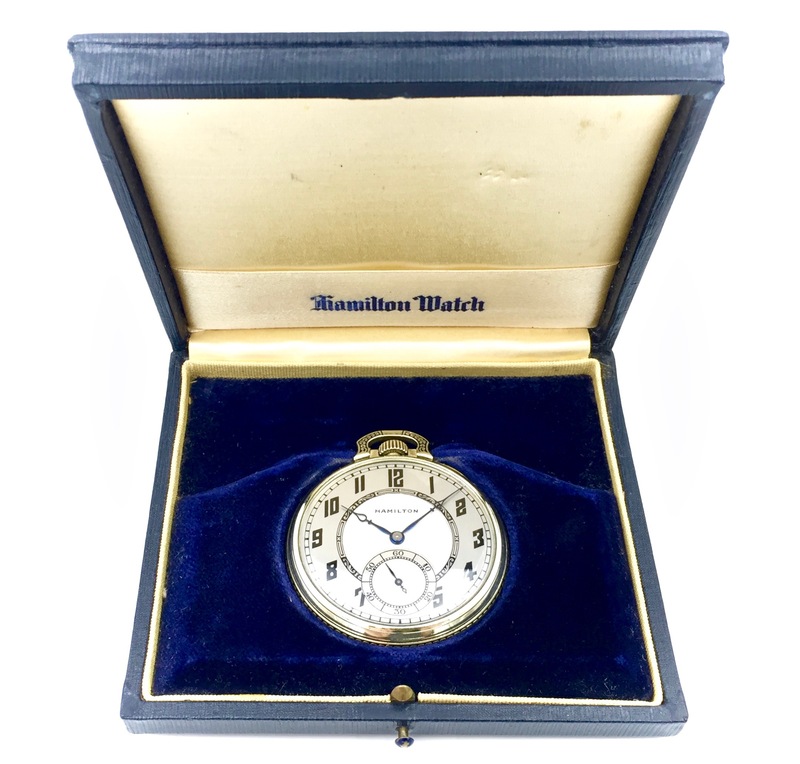 The watch comes with the original box.